10. Which of the following are common causes of favorable variances? budget fixed overhead for 4,500 units? 16. Which of the following statements are true? 17. Which of the following statements are true? Multiple choice: the standard price of materials is . 10 per pound and the standard quantity allowed for actual output 5,800 pounds. If the actual quantity purchased and used was 6,000 pounds, and the actual price per pound was . 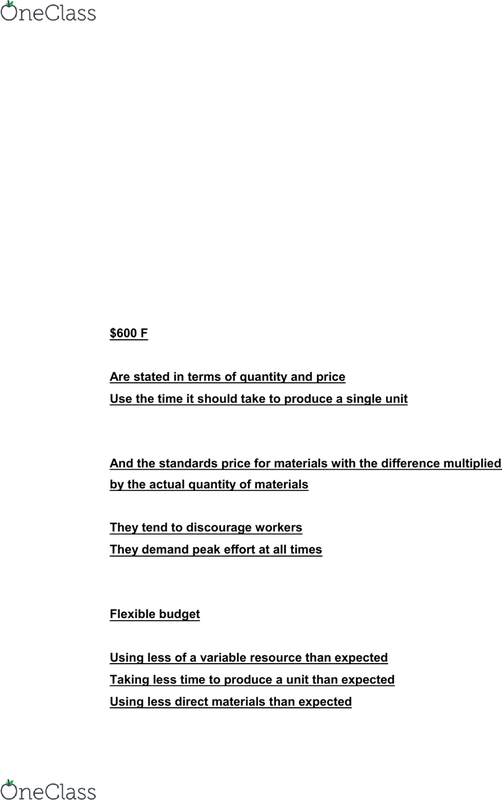 00, the direct materials price variance is: f (6,000x(4. 00-4. 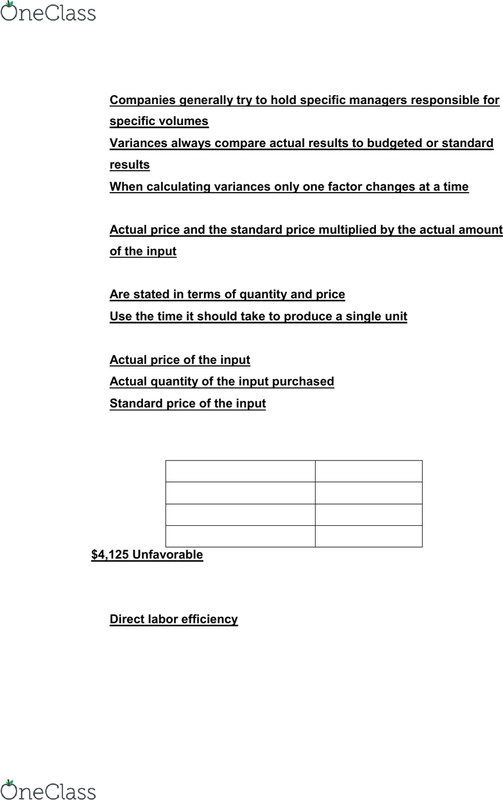 10)=: direct labor standards: Use the time it should take to produce a single unit: the direct materials price variance is the difference between the actual price of materials: And the standards price for materials with the difference multiplied by the actual quantity of materials: ideal standards are problematic because: Using less of a variable resource than expected. Taking less time to produce a unit than expected. Learnsmart chapter 9: standard costing and variances: using the information provided, calculate the direct materials quantity variance: unfavorable (sp(aq-sq)=3. 00(5,200-5,000)= unfavorable: given the following information, calculate the variable overhead efficiency variance.